Radiating beauty, you'll love the sophisticated intensity of the Ion Metals collection. Complementing both rustic and modern designs, this metallic-inspired interior collection is the perfect accent to any design. With colors such as lustrous and neutral Antique Nickel and the warm, alluring tones of Oil Rubbed Bronze, this collection offers hues that are both versatile and chic. Whether used for commercial or residential applications, the glimmer of these beautiful tiles is sure to catch your eye and leave you mesmerized. 0.125 square foot per piece, each piece sold individually. Piece weight equals .31 lb. 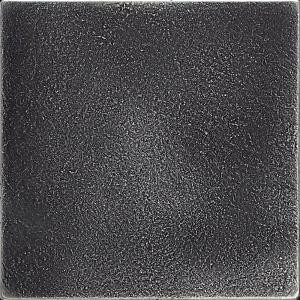 Buy online Daltile Ion Metals Antique Nickel 4-1/4 in. x 4-1/4 in. Composite of Metal Ceramic and Polymer Wall Tile IM02441P, leave review and share Your friends.